The Samsung Galaxy Note 5 was finally released in Lebanon last week and we were not late to get our hands on it. 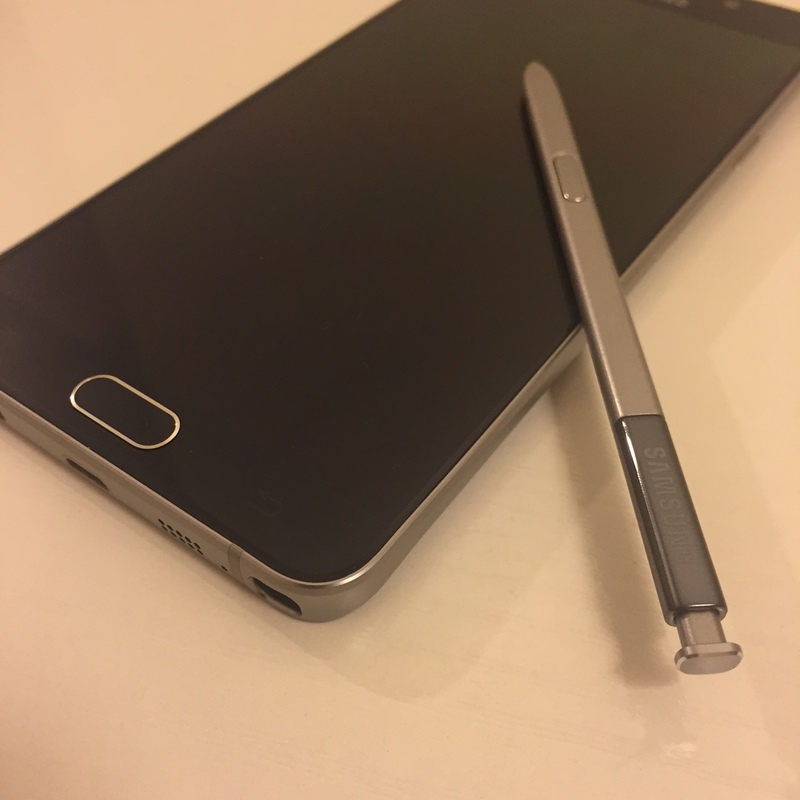 We spent the weekend discovering what it has to offer and now we give you the unboxing of The Samsung Galaxy Note 5. You can find some information regarding the device on the package, such as a few specs and the serial code. Upon opening the huge box you get your first glimpse of the mobile wrapped in plastic with all the accessories hidden underneath. It comes with a MicroUSB cable, a charger, a pair of Samsung earphones and the usual set of catalogs and information packets. once the plastic is pealed off, you can feel the sleek glass curved back of the note 5. On the device there is the usual home bottom with a fingerprint sensor, to its right a back bottom and the multitasking button to its left. The sim card is on the top of the phone along with the noise cancelling mic, on the left side you will find the volume and opposite to that on the right there is the lock/power button and on the bottom we have the speaker, 2.5 mm jack socket, noise cancelling mic, micro USB and of course the S pen. It’s dimensions are 153.20 x 76.10 x 7.60 and weighs at about 171(gr). the Samsung note 5 features a 5.7 inch Super-Amoled display screen with a resolution of 2560 x 1440 pixels and a 515 ppi running on Android 5.1 Lollipop. The phone is powered by an Exynos 7420 processors and runs on 4 GB of RAM and a non expandable internal storage of 320 GB. It features an upgraded front camera with 5 megapixels and a 16 megapixel with optical image stabilisation rear camera. Samsung went with a non removable 3000mAh battery for the note 5. It is currently set at 725 USD for the 32 GB but prices vary on a weekly basis.